30 ตุลาคม 2554 เวลา 12:04 น. The government has decided not to dig channels into five roads in eastern Bangkok to release northeastern run-off into the sea, but it will cut off a minor road in Pathum Thani to help drain floodwater. However, the Bangkok Metropolitan Administration proposes the government bore through the foundations of the Bangkok-Chon Buri Motorway and Bang Na-Trat Highway to enhance flood drainage in the area. 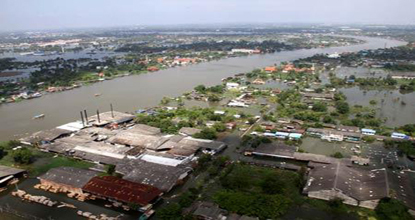 Transport Minister Sukumpol Suwanatat yesterday inspected roads and waterways in eastern Bangkok where engineers proposed draining floodwater through some roads. After the aerial survey, the minister said no roads in eastern Bangkok would be dug but the government would instead dredge canals to help drainage. Suwinthawong, Nimit Mai and Ruam Phatthana roads in eastern Bangkok to release massive overflow threatening Bangkok. ACM Sukumpol also inspected Bang Na-Trat Highway and the motorway. He confirmed the roads did not obstruct floodwater flows, so the government would have canals in eastern Bangkok dredged instead. Houses that encroached on canals or blocked them would have to be removed, he said. Prime Minister Yingluck Shinawatra Friday ordered a dig at Liap Khlong Rangsit Road that runs parallel to Khlong Rangsit canal in Thanyaburi district of Pathum Thani province. The road digging occurred between Khlong 9 and Khlong 10 canals to ease floodwater flows from Khlong Rangsit through Khlong Hok Wa canal, which is above Bangkok's submerged Sai Mai district. Authorities plan to speed up floodwater drainage from Khlong Hok Wa canal to Khlong Saen Saep canal and then the Bang Pakong River in Chachoengsao into the sea. Ms Yingluck's decision came after she managed to convince residents in Khlong 9 community about the measure, which will flood the community to a certain extent. She thanked people for their cooperation, which she said would help reduce the pressure on sluice gates and dykes in northern Bangkok. 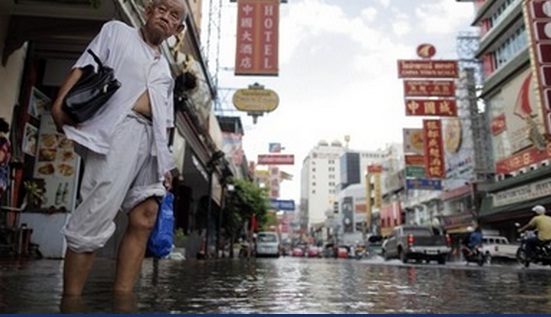 Otherwise, Bangkok would face the risk of collapsing dykes and strong floods flowing into its heart. 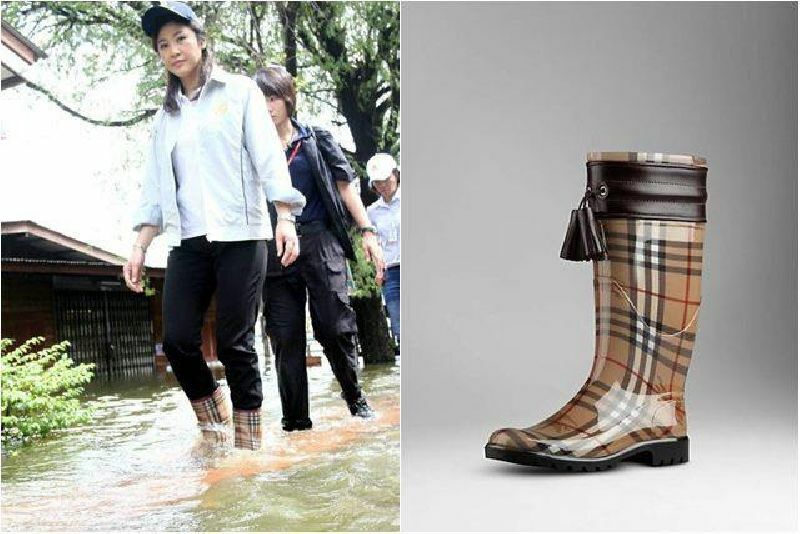 Ms Yingluck admitted it was difficult to drain floodwater from low-lying western Bangkok but she would order the installation of more pumps there to relieve the problem. Ms Yingluck denied that members from her Pheu Thai Party who are linked to the red-shirt United Front for Democracy Against Dictatorship tried to block a plan to drain floodwater to eastern Bangkok, a red-shirt base. She said her government decided to protect the national interest. 29 ตุลาคม 2554 เวลา 16:49 น. It is not necessary to cut channels across any roads to improve the drainage of floodwater out to sea because none of the targeted roads block the flow of water, Transport Minister Sukampol Suwannathat said on Friday. ACM Sukampol said this after flying by helicopter to examine from the air the area east of Bangkok, Bang Na - Trat highway and Khlong Bang Chalong, Khlong Chorakheyai, Khlong Sanamphli and Khlong Phra-rongchao. The floodwater is to flow into these canals before being drained into Khlong Samrong and the sea. The minister said none of the five roads a group of private engineers and water management experts had proposed be cut open to improve drainage were blocking the path of the floodwater. So, it is not necessary to dig them up, he said. 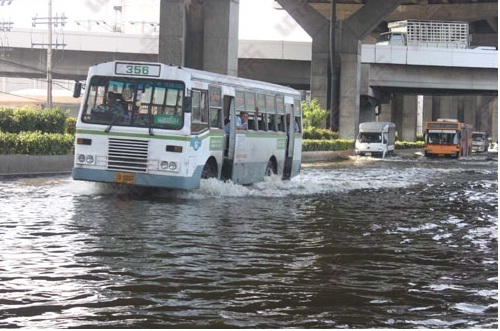 The group, led by Toyota Motor Thailand vice chairman Ninnart Chaithirapinyo, asked Prime Minister Yingluck Shinawatra to consider a plan to dig channels across five major roads in eastern Bangkok to enable floodwater to flow quicker out to the sea. The roads are Pracha Ruam Jai, Rat Uthit Road, Suwinthawong Road, Nimitr Mai Road and Ruam Phattana Road. Prime Minister Yingluck said she was undecided about the group's proposal and had assigned Transport Minister Sukampol to conduct a survey of the area covering the five roads along with representatives of the Royal Irrigation and Highway departments before deciding whether to do as proposed. The possible damage to the area and the people must be taken into consideration if the five roads were to be cut open, she said. Ms Yingluck said a channel might be cut across one of the roads first as an experiment to see if the opening made could really help the floodwater flow away more rapidly. If not, it would be pointless to implement the proposal. She admitted that the effort to drain water out toward the east and west of Bangkok had not been carried out at full capacity. As for flooding in some parts of inner Bangkok, she said it is the responsibility of the Bangkok Metropolitan Administration to drain the water out as quickly as possible. Bangkok Governor Sukhumbhand Paribatra said he agreed with the government's Flood Relief Operations Centre's plan to dig channels across five main roads. However, the plan should be carried out cautiously as it could affect people living near the five roads, he said. MR Sukhumbhand said the water level of the Chao Phraya river was measured at 2.47 metres above mean sea level this morning. He said after inspecting the water level from Phra Pinklao bridge to Siriraj Hospital that the Chao Phraya had risen to a new high. The high tide level at the Thai Navy HQ on the Chao Phraya was predicted at 3.66m above mean sea level about 6pm on Friday; 3.78m at 9.09am on Saturday and 3.66m at 6.30pm; peaking at 3.77m at 10.21am on Sunday. 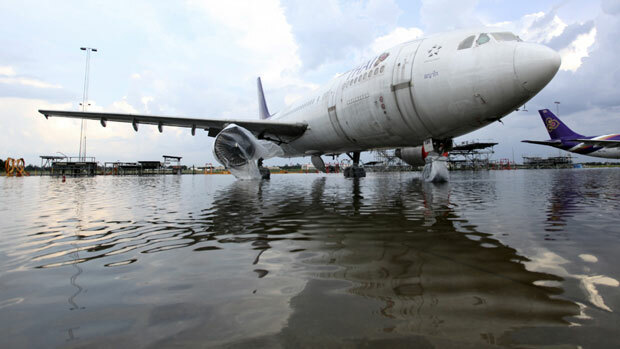 The business sector has called on the government to protect Bangkok from floods to maintain the confidence of investors, and to also inject money into system to help rapidly rehabilitate the economy. 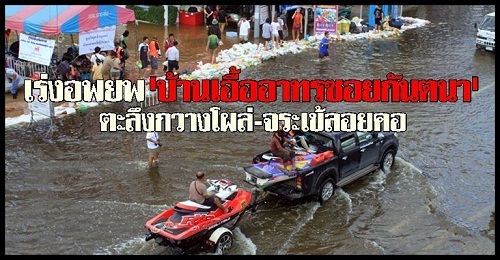 The Thai Chamber of Commerce on Wednesday issued a statement asking the government to try its best to protect Bangkok from floods. TCC chairman Pongsak Assakul said if the inner capital is inundated it will severely affect the confidence of foreign investors and cause difficulties with international communications. 3) Coordinate with the private sector to ensure adquate supplies of consumer goods and accessibility to necessities. Mr Pongsak said the TCC had set up a flood relief centre to provide assistance to flood affected businesses. “TCC will submit these demands to Commerce Minister Kittiratt Na-Ranong for consideration to help coordination between the state and the business sector to protect Bangkok,” he said. Meanwhile, retailers urged the government to prepare post-flood economic rehabilitation measures to enhance recover as soon as possible. The government must rapidly rehabilitate the economy after flood recedes by increasing people's purchasing power, Chatchai Duangrat, director of the Thai Retailers Association, said on Wednesday. Mr Chatchai said this can be done by an immediate cash injection similar to the “Cheques Help the Nation” scheme implemented by the previous Democrat-led coalition government. This should be the first measure implemented as it could rapidly boost the economy, he added. Moreover, the government should provide interest-free loans for manufacturers to rehabilitate businesses and resume operations as soon as possible, Mr Chatchai said. He predicted that the flood damage to the economy would be no less than 100 billion baht and it would trim economic growth for the year by between one and two per cent. Mr Chatchai said he will attend a meeting of the Thai Chamber of Commerce tomorrow, Oct 27, to discuss the flood's impact and business rehabilitation plans. Amid the flood crisis, there was still some good news. US Ambassador to Thailand Kristie Kenney said on Wednesday that the US government and American investors would continue investing in Thailand despite the devastation. The US ambassador said this after visiting Prime Minister Yingluck Shinwatra at the Flood Relief Operations Centre at Don Mueang airport this morning. She was accompanied by a number of US investors who have interests in Thailand, according to the reports. 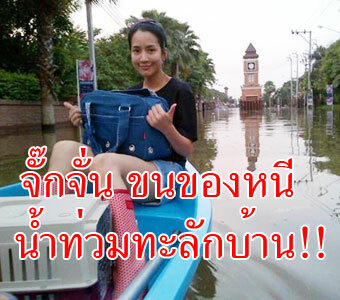 Ms Kristie said she was concerned about the flood situation in Thailand. The US government was ready to provide support for Thailand’s efforts in dealing with the crisis and will invest more in Thailand after the water recedes, she added. 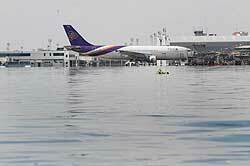 The Bank of Thailand governor was also concerned about the impact of the flooding on the economy. Mr Prasarn yesterday discussed with the managements of Thai and foreign commercial banks the government’s declaration of a five-day holiday over this weekend for state officials in 21 flooded provinces, including Bangkok. “Commercial banks and the Stock Exchange of Thailand will continue their operations as usual. We all agreed that the financial system must be protected to enable it to continue supporting the economy,” he said. 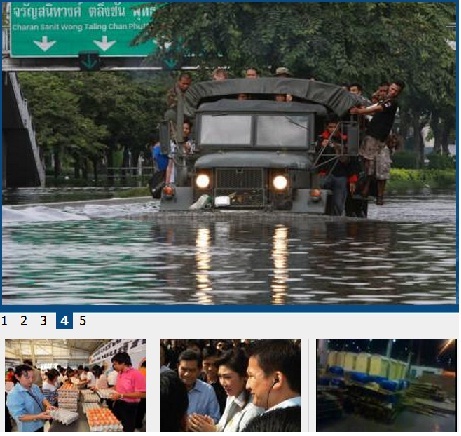 The cabinet on Tuesday resolved to declare Oct 27-28 and Monday Oct 31 an official holiday in 21 flood-hit provinces, including Bangkok, to allow officials whose responsibilities do not concern flood prevention to stay home, relieving traffic congestion, or to travel out of Bangkok to other provinces. Ramkhamhaeng University will tomorrow open an evacuation centre for flood-hit people at its Bang Na campus, acting rector Pimol Pupipit said on Tuesday. Mr Pimol said the centre, at PBB building, can take up to 500 evacuees. It will be opened from tomorrow, Oct 26. The university has also opened a centre to take donations. More information can be obtained by calling 02-3108064. Chon Buri province has opened two evacuation centres - one at the Physical Education College and the other at the Centre for Community Studies and Development. About 270 7-Eleven convenience stores have been closed throughout the country because they cannot get supplies to replenish their stocks, the franchise operator CP All Plc said on Tuesday. 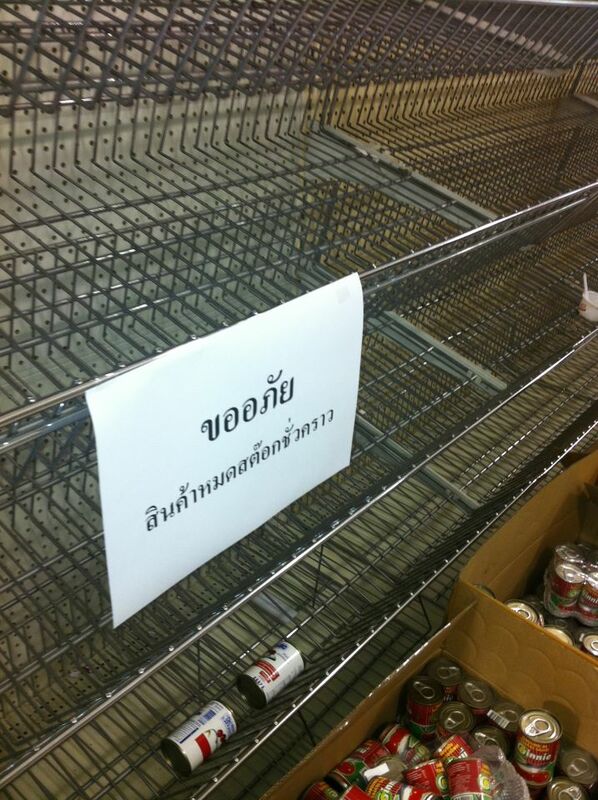 The announcement said that the flooding had caused people to panic and rush to buy necessities. There are 6,200 branches throughout the country. Other retailers said suspension of operations by some manufacturers in flood-hit areas had also contributed to the shortages of food products and other consumer goods. Thirteen commercial banks and a financial firm reported that they had temporary closed a total of 283 branches in flooded provinces, the Bank of Thailand reported on Tuesday. Of the total, 132 outlets are in Pathum Thani, 63 in Nonthaburi, 46 in Ayutthaya, 21 in Bangkok, 18 in Nakhon Sawan, and one each in Chai Nat, Lopburi and Uthai Thani. The House of Representatives will meet tomorrow for MPs to debate the flood crisis and efforts to combat it, first Deputy House Speaker Charoen Jankomol said on Tuesday. Mr Charoen said the planned House meeting on Oct 27 has been cancelled as the government has declared Oct 27-31 official holidays in 21 flooded provinces. 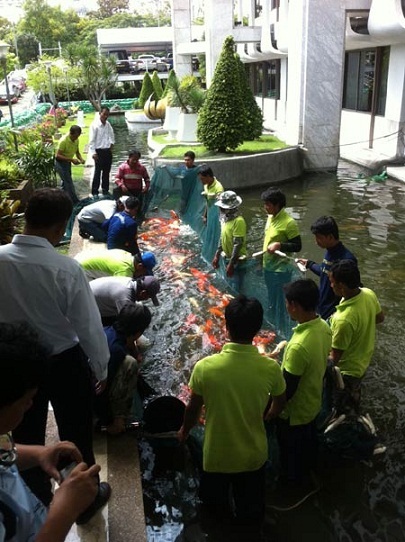 The 21 provinces are Bangkok, Nakhon Pathom, Ayutthaya, Lop Buri, Sing Buri, Chachoengsao, Ang Thong, Nakhon Sawan, Chai Nat, Uthai Thani, Sukhothai, Phichit, Kamphaeng Phet, Pathum Thani, Nonthaburi, Saraburi, Nakhon Nayok, Prachin Buri, Suphan Buri, Samut Prakan and Tak. Tomorrow's House meeting will be from 1pm to 9pm. Airports of Thailand Co (AoT) has declared the closure of Don Mueang airport from 7pm today as northern runoff has flowed on to the runways and affected the lighting. 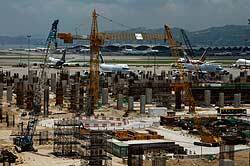 The closure is for the sake of safety of passengers and aircraft, it said. Earlier today low-cost airline Nok Air, which operates flights to provinces from Don Mueang airport, announced the suspension of its air services from noon today. Orient Thai, another low-cost airline, has moved its flight base from Don Mueang to Suvarnabhumi airport, from 3pm today until further notice. ด้านถนนกำแพงเพชร 6 (โลคัลโรด) มีน้ำท่วมสูงประมาณ 30 เซนติเมตร ส่วนสน.ดอนเมืองมีปริมาณน้ำท่วมเช่นกัน ตำรวจได้นำกระสอบทรายมาก่อเรียงกันเป็นชั้น ๆ ตั้งไว้หน้าสน. ทั้งนี้ปริมาณน้ำเริ่มเข้าท่วมสน.ตั้งแต่เมื่อวานนี้ แต่ยังมีระดับต่ำ จนกระทั่งเช้าวันนี้ ปริมาณน้ำมีเพิ่มมากขึ้น แต่น้ำยังไม่มากที่จะเอ่อล้นเข้าท่วมสน. 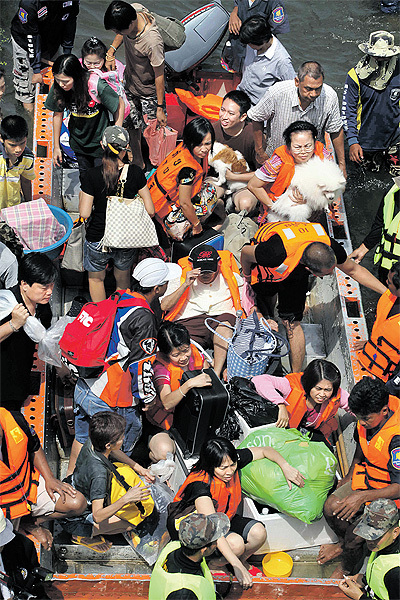 Prime Minister Yingluck Shinawatra has invoked the disaster prevention law to take full control of flood operations as run-off from the North has started surging into Bangkok. 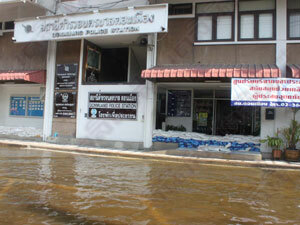 Bangkok Governor Sukhumbhand Paribatra yesterday said there were signs the northern run-off has entered the capital. First, the water level in Khlong 2 in Rangsit continued to rise despite the Bangkok Metropolitan Administration (BMA) opening its floodgate wider. Second, the rising floodwater broke an embankment at Phahon Yothin Road near Khlong Rangsit in Pathum Thani, causing water to spill on to the streets. However, the governor said flood barriers are expected to be put in place in time to ease the impact on central Bangkok. Soldiers have now been deployed in flood-prone areas to watch for any emergencies, the governor said, adding that military trucks are ready to evacuate people. In the face of an increasingly tense battle with the rising water and what appeared to be inter-agency bickering, Prime Minister Yingluck yesterday invoked the disaster prevention law to consolidate power over flood management efforts. 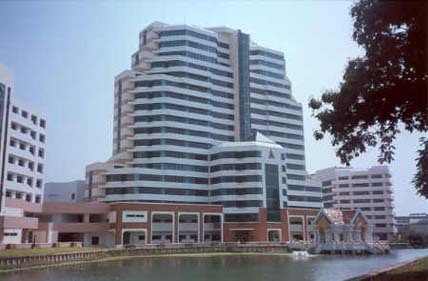 Section 31 of the Disaster Prevention and Mitigation Act (2007) gives the prime minister full control over officials around the country, including in Bangkok. Under the law, all officials must report directly to the prime minister as the director of the relief operation. Those who refuse to follow orders can be prosecuted for malfeasance or serious dereliction of duty. Following the invocation of the law, the premier ordered the BMA to open all sluice gates in Bangkok to allow the overflow from the North to pass through the city and on to the sea. The amount of waterflow will be controlled so the capital is not harmed. The invocation of the law follows a perceived conflict between City Hall and the government's Flood Relief Operations Command (Froc). Despite Froc's request, the BMA has reportedly refused to open all sluice gates in Bangkok to allow floodwater to drain through the city's canal network. "I'm asking the BMA to fully perform its duty," said Ms Yingluck. "I'm pleased the BMA will [manage the overflow], and Froc is ready to give support. But if the BMA can't take care of it, Froc will take over." The premier has also appointed a committee to manage flood drainage in disaster areas chaired by Veera Wongsaengnak, former deputy chief of the Royal Irrigation Department. The committee, made up of former RID chiefs and experts in water management and geoinformatics, will lay down guidelines for Froc to deal with the floods. It will also work with the BMA regarding waterflow management. Ms Yingluck said some agencies were ordered to open all floodgates for full water drainage but later checks found they did not comply. It is understood she was referring to City Hall. In invoking the disaster law, Ms Yingluck also ordered the Defence Ministry and the army to protect key places, including the Grand Palace, other palaces, Siriraj Hospital, flood barrier lines, utilities units and Suvarnabhumi and Don Mueang airports. Froc yesterday also set up a forward command, headed by permanent secretary for interior Pranai Suwanrath, to oversee flood operations in east Bangkok. Responding to the invocation of the disaster prevention law, MR Sukhumbhand insisted it does not affect City Hall's powers to manage the flood. He said the law actually enables the BMA to instruct state agencies that do not come under City Hall under normal circumstances to assist in flood relief operations in the capital. MR Sukhumbhand rejected suggestions of a conflict between him and the government on how to deal with floods. "There are just different interpretations," he said, adding that City Hall has cooperated by opening some sluice gates in Bangkok, though not all of them. 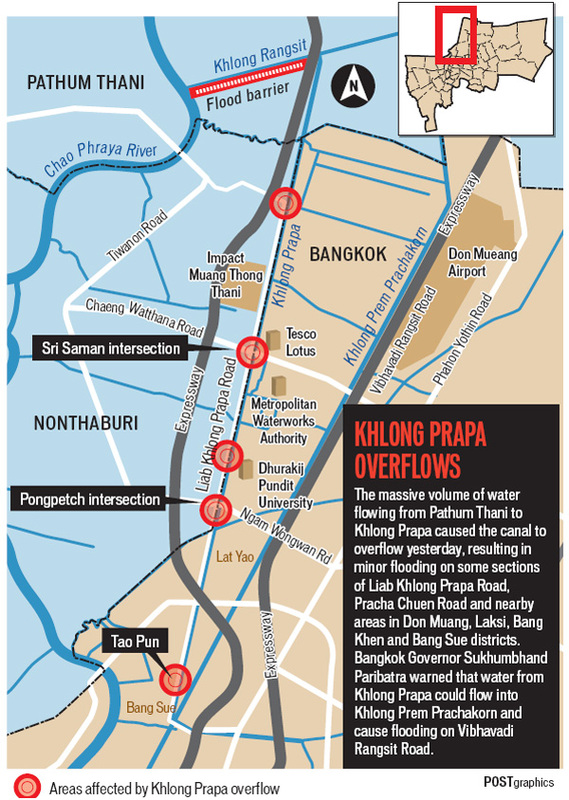 Meanwhile, some areas of Don Muang and Laksi districts in Bangkok have been inundated by overflow from Khlong Prapa. 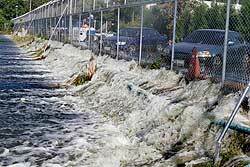 Metropolitan Waterworks Authority governor Charoen Phassa yesterday said run-off had burst through a flood barrier at Khlong Bang Luang in Bangkok Yai district and swept into Khlong Prapa. The incident caused the canal to overflow into Don Muang and Chaeng Wattana Road in Laksi. The overflow problem has been brought under control and the floods there are expected to recede in the next few days, Mr Charoen said. 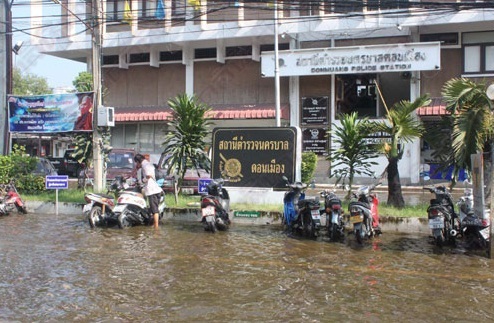 Don Muang district office chief Phumiphat Damrongkiatisak said Khlong Prapa's rising levels breached a barrier and flooded a 500m section of Song Prapa Road in Don Muang. Efforts were being made to pump the water into Khlong Prem Prachakorn. MR Sukhumbhand, however, expressed concern that if the water in Khlong Prapa continues to rise, then floods will be inevitable on Vibhavadi Rangsit Road. The governor said that more than 1,400 residents in Don Muang affected by floods have been evacuated to two evacuation shelters in the area.